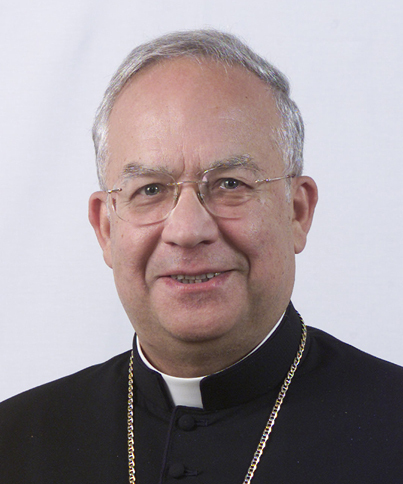 (Pagani, Italy) Bishop Antonio Napoletano, CSsR, Bishop Emeritus of Sessa Aurunca, passed away on March 25, after returning from the hospital as he had gone for his health check-up. He was born in Nocera Inferiore – Sarno on June 18, 1937. He professed his perpetual vows as a Redemptorist on September 29, 1953, and was ordained a priest on March 19, 1961. He undertook a tireless work as a missionary, a teacher and as Provincial Superior of the Province of Naples. He was appointed a Bishop of the Episcopal See of Sessa Aurunca on November 19, 1994, and was consecrated on January 6, 1995. On June 25, 2013, he became bishop emeritus, retiring to the bishopric of Teggiano-Policastro, upon request of Mons. Antonio de Luca, CSsR. The funeral was celebrated on Wednesday, March 27, in the Basilica of St. Alphonsus of Pagani, presided over by Cardinal Crescenzio Sepe, the Archbishop of Naples, and with the presence of 16 Bishops of the Episcopal Conference of Campania, together with a good number of Redemptorists come from all the communities. There were more than 150 priests, deacons and seminarians, relatives, friends and authorities who attended the funeral mass. On behalf of the General Government, Fr. 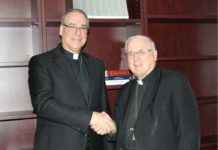 Pedro López, the General Consultor, was present and read a letter from the Superior General, who was unable to join as he was participating the meeting of English-speaking Major Superiors in Rome. 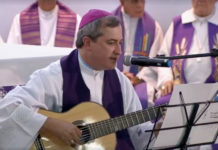 Father Gennaro Sorrentino, the Provincial Vicar of Naples, read a letter sent by Father Serafino Fiore, the Provincial Superior, who was absent due to the death of his sister. The celebration of the funeral, animated by the Choir St. Alphonsus and its Director Fr. Paolo Saturno, CSsR, which was quite emotional and moving, an expression of the affection that our confrere Antonio Napoletano lived throughout his pastoral and missionary life. Rest in peace.